Everyone in my family likes to eat a good breakfast, but no one is willing to sacrifice precious minutes of sleep to prepare one before heading out the door. Sound familiar? Since I’m a big believer in the importance of breakfast, I have made it a habit to prepare breakfast the night before. If you scroll through the breakfast options on this site, you’ll see that nearly every recipe can be made in advance, and they aren’t complicated. Throughout rhubarb season, I make several batches of this quick-cooking strawberry rhubarb sauce, freezing multiple pint-size containers for future use. (Chopped, raw rhubarb freezes beautifully, too, for use in this and other recipes.) 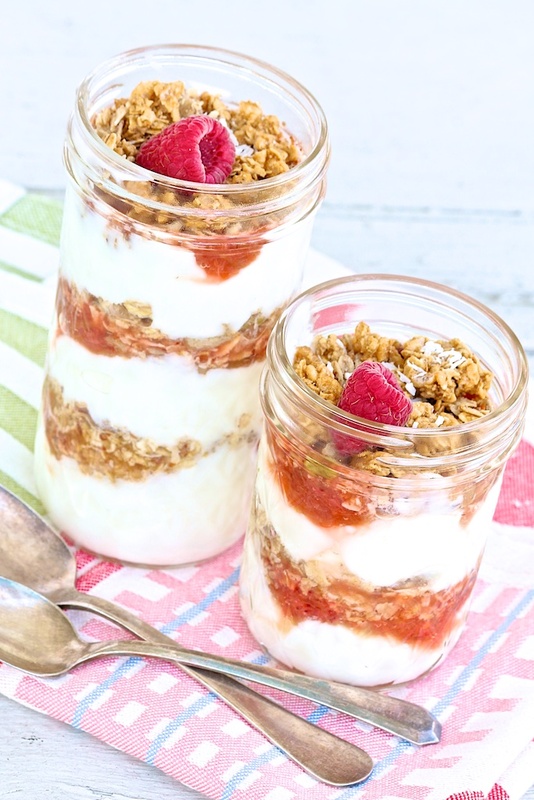 Somewhere along the line, I hit upon the following option to my original granola yogurt parfaits. Perhaps because of the simplicity–or possibly the great taste and health appeal–this old recipe has made a resurgence as a Pinterest favorite in recent months. The rhubarb sauce just puts a new spin on it. Of course, another upside of a ready-to-go breakfast is that I actually get a few minutes to sit down with my teenage boys before they’re off to school. In a time crunch, however, these portable jars can be eaten on the go. Either way, the fruity, chewy, creamy combination makes any morning a little brighter! 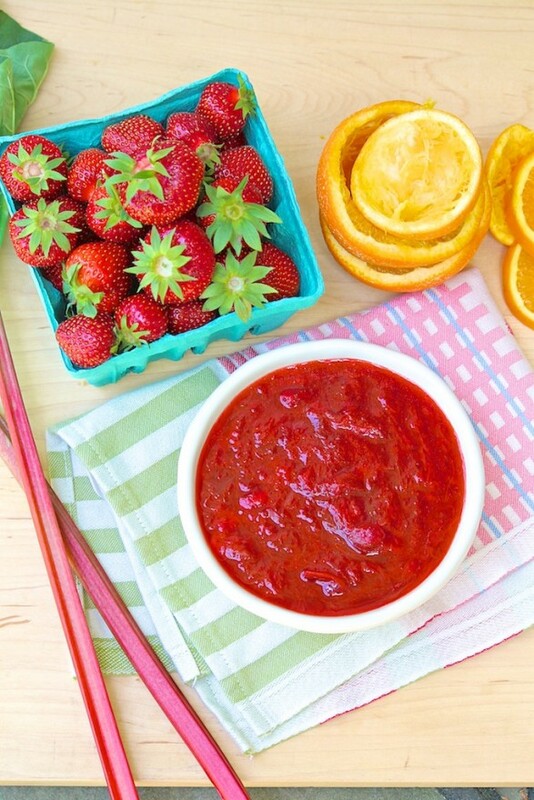 Don't overlook this easy, portable recipe just because you don't have a fresh batch of strawberry rhubarb sauce on hand or lurking in your freezer. Your favorite jam can be a worthy stand-in. Fresh fruit--even frozen berries--makes a delicious parfait as well. Yields 1 (12-ounce) glass or jarful*. 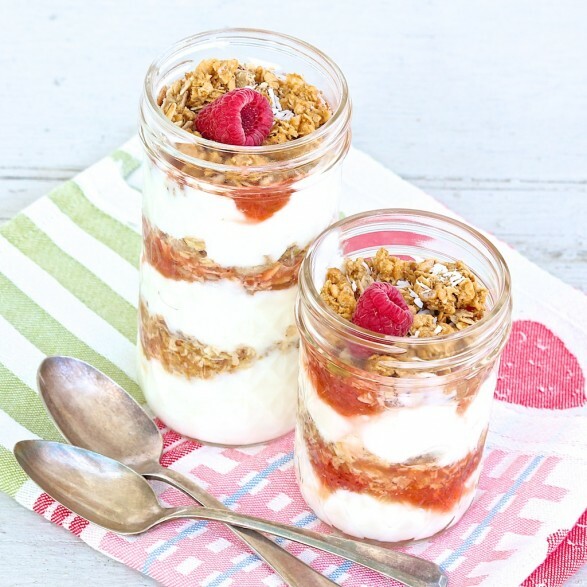 To a tall glass or 12-ounce Mason jar, add 1/4 cup of the yogurt. Add 1 tablespoon of the strawberry rhubarb sauce followed by 2 tablespoons of granola. Repeat this layer twice. If using a 12-ounce glass or jar, this will fill it almost exactly. If desired, top with a sprinkle of nuts or other optional toppings. Cover with plastic wrap or a lid, and refrigerator for up to three days. **I typically use 2% vanilla yogurt (sometimes Greek, sometimes regular) but have used maple, honey and plain as well. Use what you prefer in terms of flavor, thickness and fat content, and feel free to add a little more or less of one ingredient depending on preferred ratios of fruit to granola to yogurt. This sauce is absolutely divine and incredibly easy. 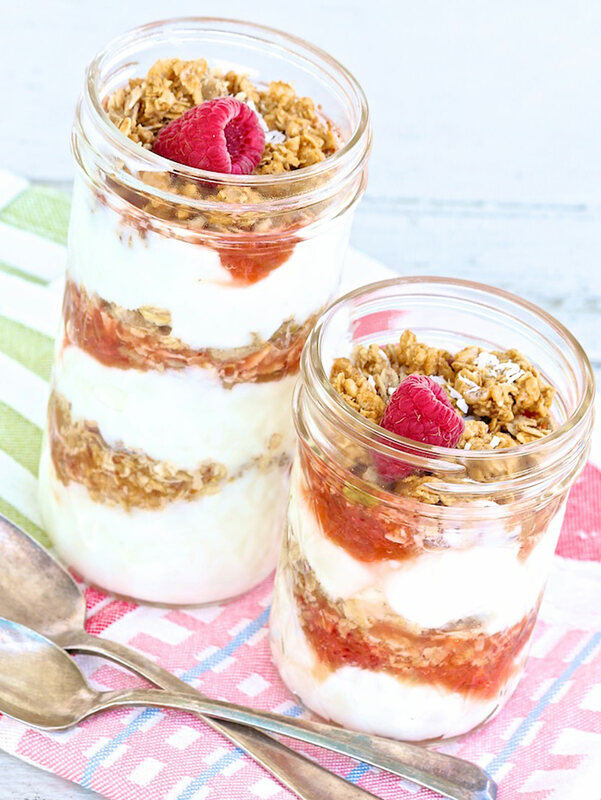 I used some of it for this parfait recipe–so yum! Perfect quick meal before the kids run off to school. Will make several more batches of the sauce and freeze. Thanks for another delicious and easy way to enjoy it. I’m thrilled you enjoy the sauce as much as we do, Jan. Thanks for the comment!